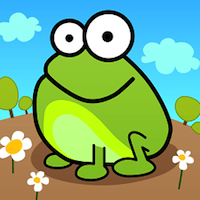 TAP THE FROG DOODLE | Free Mobile Games on Funky Potato! Another part of Frog Doodle, packed with funny skill minigames, featuring lots of cute frogs. Enjoy!